When it comes to eco-tourism and natural wonders, the Tinuy-an Falls is one of the Philippines' hidden treasures. Located in Bislig, Surigao del Sur . The waterfalls has three levels with an outstanding width of 312 feet and a height of over 180 feet. 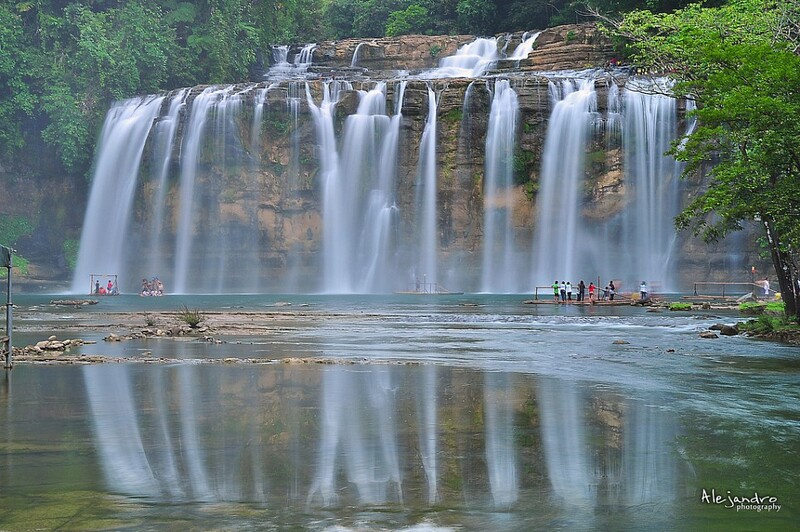 Tinuy-an Falls is even recognized as the widest waterfalls in the country, and even has a moniker of being the “Niagra Falls of the Philippines”. The name of Tinuy-an Falls was derived from the term “Tinuy-an,” which in the local dialect means “intentional act” or an act to attain a certain objective. The term is attributed by the popular folklore about how the cruel tribesmen from Agusan enslaved the dwellers of Magdiwata Mountain. The slaves were forced to make small boats or “barotos” and other manual labor their masters ordered upon them. At one time, the slaves were tasked to row the masters’ barotos and they took this as an opportunity to get revenge on what had happened to them. The slaves forced the small boats toward the falls and pushed their masters overboard to their cold demise. When visiting the waterfalls, an entrance fee of ₱50 ($1.10) is collected for the maintenance and preservation of the attraction. Another ₱50 ($1.10) is also charged for parking if you brought your own car. 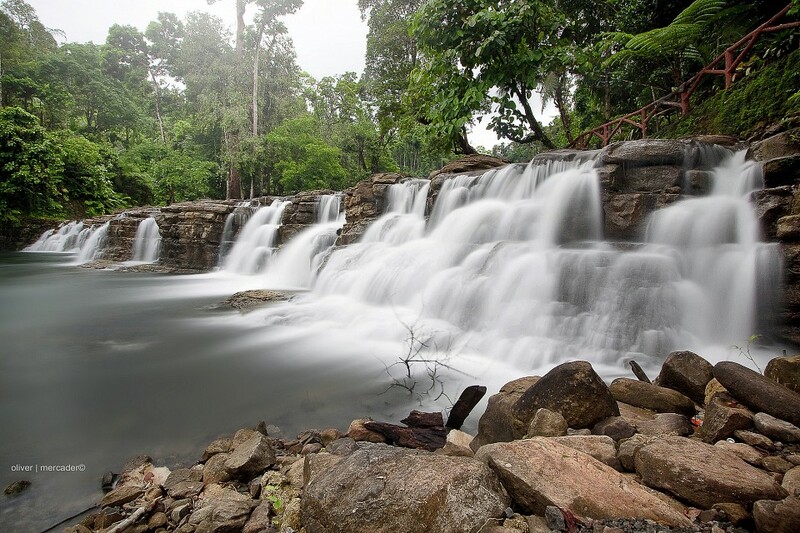 Tinuy-an Falls is situated in a remote location, surrounded by lush forests. There are cottages and stores available in the area but the operators have kept the development minimal in order to preserve its raw beauty and natural ambiance. The picnic tables and cottages in Tinuy-an are set just a few meters from the edge of the pool. 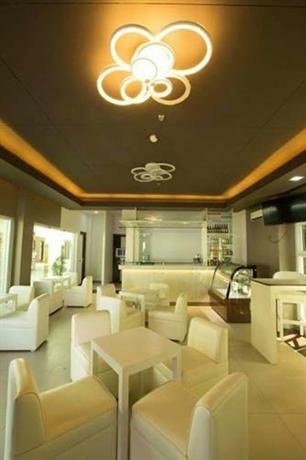 These tables are available for everyone and are free of charge. 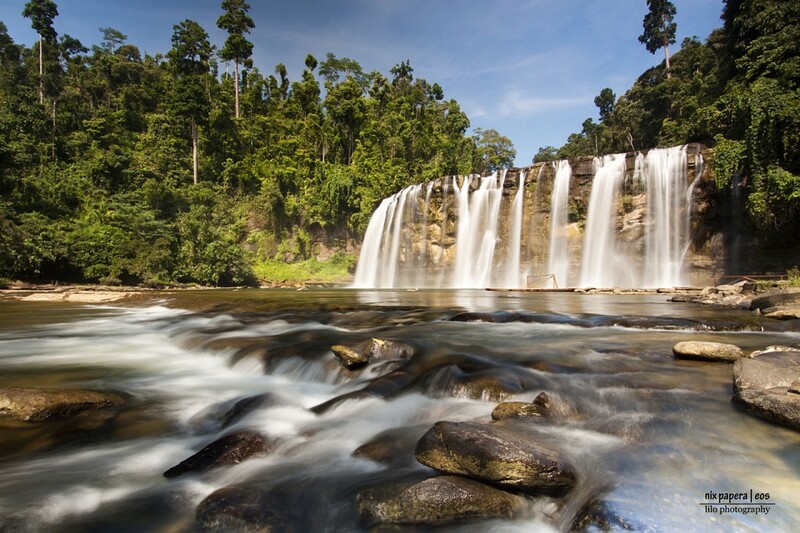 Just like other waterfalls in the Philippines, Tinuy-an Falls has a wonderful catch basin that is perfect for swimming. The second waterfalls, which has the biggest pool and the highest drop of all the layers in Tinuy-an, has a bamboo raft that can take tourist near the wall of the falls. The upper layer of the waterfalls can be reached by trekking the paved path on the side of the falls. This layer has a shallow basin and smaller cascades of water. Tourists are advised not to swim closely to the edge of the pool due to the rocks being slippery and which may cause them to fall down to the second layer. 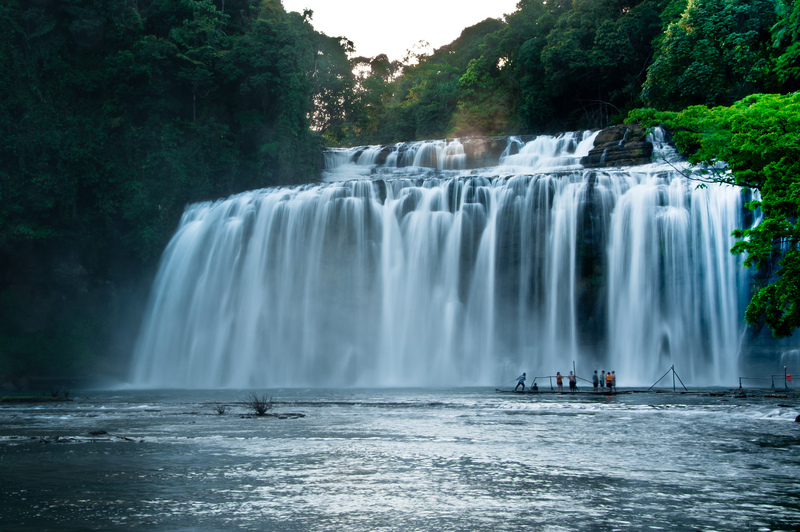 Tinuy-an Falls is not only popular for its cold, fresh water but also for it scenic trails and abundant wildlife. Tourists who visit the area are there for exploratory hiking and bird watching. People who are also fond of taking breathtaking pictures will enjoy the lovely features that Tinuy-an has to offer. The main viewing area can be accessed by crossing a wooden bridge. 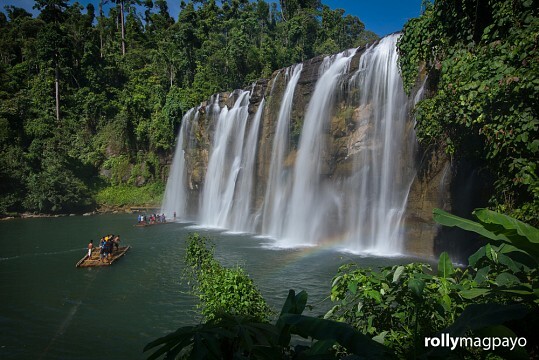 The first thing to consider when going to Tinuy-an Falls is how to get to Bislig City, Surigao del Sur. Tourists who are coming in from Manila can get a domestic flight to either Butuan City in Agusan del Norte or Davao City. 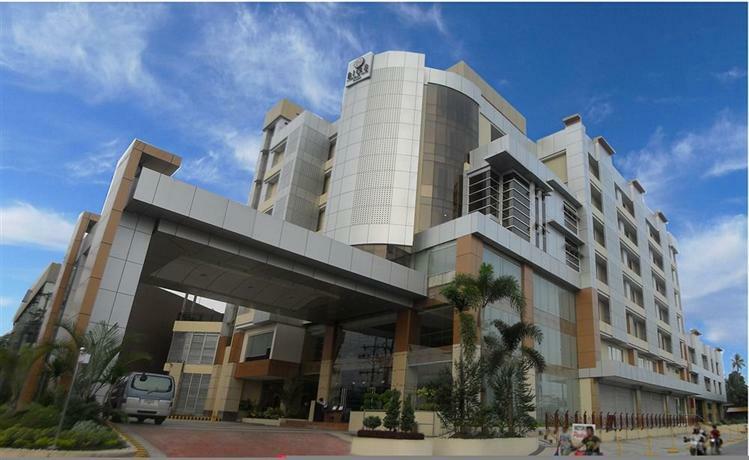 Upon arriving in Davao airport, take a taxi ride going to Ecoland Terminal. Catch a bus going to Mangagoy (the commercial district of Bislig). The travel time from Davao to Mangagoy is approximately 6 hours, depending on the number of stopovers. Vans also leave from Victoria Plaza. At Butuan airport, take a tricycle ride to Butuan City Integrated Bus Terminal. Upon arriving, you can either take a van or a bus going to Mangagoy. Travel time is approximately 5 hours. If you are coming from Surigao City, you can take a bus going to Butuan. When you reach the bus terminal, transfer to another bus going to Mangagoy. Upon arriving in Mangagoy, habal-habals (or motorbikes) are available to take you to Tinuy-an Falls. The usual fare going to the falls is ₱200 ($4.40). 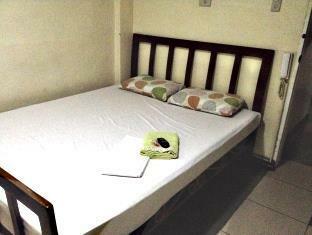 Tourists can tour Tinuy-an Falls and Bislig in one day, but to those who want to stay the night, they can get a comfortable room at the different accommodation options in town for less than ₱1,000 ($22) (which is a great deal). 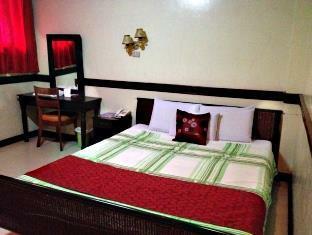 One of the most recommended places to stay in Bislig is at Casa de Babano. 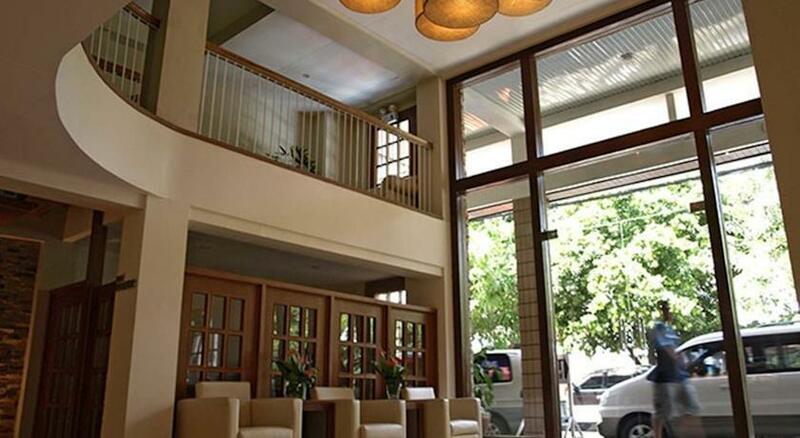 Other great options are in Paper Country Inn and Sheilah’s Pension House. Although most parts of Mindanao are red zones in the Philippines, many foreigners and tourists are still able to visit the areas safely. Tourists are advised to always look after themselves and be more cautious when dealing with people, especially transactions involving money. 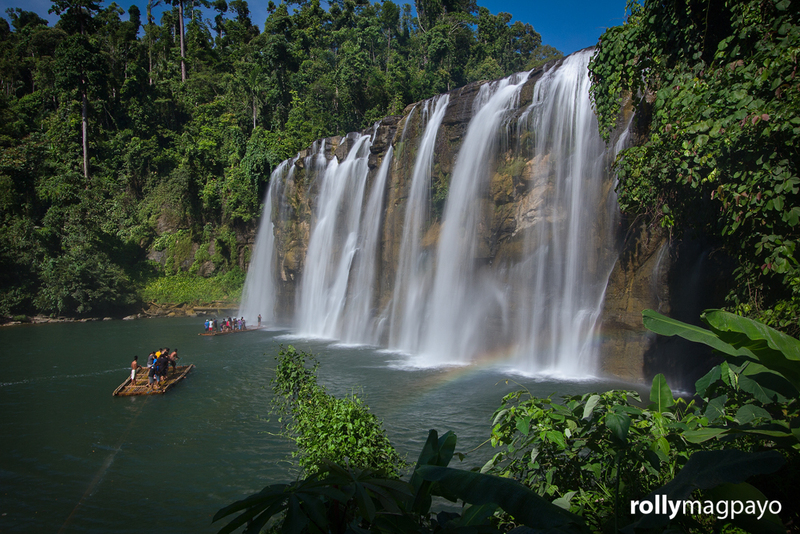 When visiting Tinuy-an Falls, try to get there between 9 AM to 11 AM. During this time, a beautiful rainbow can be seen in the area. If you still have free time, visit the Enchanted River in Hinatuan (which is only an hour away from Bislig).